Celebrate the Easter weekend by leaving your car hidden away like an Easter egg. 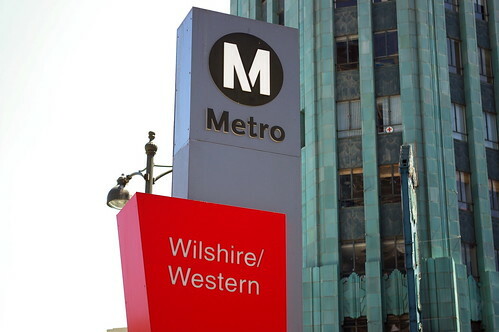 Lots of great stuff to do this weekend including a screening/party in honor of “The Big Lebowski”, the Blessing of the Animals at Olvera Street, a massive outdoor pillow fight and of course, FREE Metro Art Tours on Saturday and Sunday put on by the Metro Art Docent Council. Have an event you’d like us to include? Shoot us an email at thesource@metro.net. Time and space constraints limit us from listing every accessible event in this city, but this curated list represents what we think is cool and easy to get to. Check out L.A. Lebowski Fest at the Wiltern this weekend, easily accessible by the Metro Purple Line. Probe portraiture to understand how identity is constructed. When: 7:00 p.m. – 8:00 p.m.
A screening of “The Big Lebowski” plus live music and special guests from the film. The Oscar award winning actress/comedian brings her comedy tour to the Nokia Theater at L.A. Live. Where: Nokia Theater, 800 W. Olympic Blvd. Jam with Michael McTaggart for a night of jazz and original compositions that encompass a range of styles including samba, hip hop, & swing! Discussions about earthquakes and performances by Breakestra and Fitz & the Tantrums. Find the rest of the weekend’s events after the jump. Cardinal Roger Mahoney blesses the animals at this traditional event. Bring your favorite pillow and battle with other Angelenos until feathers fly. Follow the jump for the rest of the weekend’s events. Investigate graffiti inspired artwork in a guided tour. Then, meet graffiti artist Cre8, who will get you started creating your own personal mark making. Celebrate Easter Sunday with this showcase of hats at CAAM.